CAREY F. KALMOWITZ is a founding shareholder of The Health Law Partners, P.C. 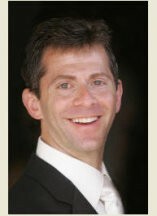 Mr. Kalmowitz graduated from New York University Law School in 1994 and from Vassar College in 1989. Counsels physicians and physician groups on integration strategies, ancillary services, employment agreements, recruitment agreements, shareholder agreements, buy ins, buy outs, compliance, third party payor audits, and negotiating joint venture and hospital relationships. Advises healthcare providers regarding compliance matters including the Stark Law, Anti-kickback Statute and reimbursement regulations. Served as general counsel of major regional healthcare system, and has significant experience with the full spectrum of hospitals' legal issues. Assisted a variety of providers with certificate of need projects, including two replacement hospitals and numerous CT, MRI and ASC transactions. Advises long-term care facilities on compliance and business issues. Represents a variety of health care providers, including physicians, ambulatory surgery centers, long-term care facilities and durable medical equipment suppliers with a broad range of health care transactional issues. Mr. Kalmowitz is a member of the State Bar of Michigan, the Michigan Society of Hospital Attorneys, the New York Health Law Section, the American Health Lawyer's Association, and the American Bar Association. Mr. Kalmowitz has written extensively on subjects across the spectrum of health care law, including, co-authoring a monthly column in the Association for Medical Imaging Management's (AHRA) publication, Link, regarding up-to-date legal issues relevant to imaging providers and suppliers. "How to Align Without a Sale," Carey F. Kalmowitz, Esq. and Kathryn Hickner-Cruz, Esq., Decision Health Physician-Hospital Alignment Strategies 2011, June 7, 2011, Las Vegas, NV. "Enhancing Revenue While Remaining Compliant (in an Era of Declining Reimbursement for Physicians' Services)," Presentation as part of Building a Compliant Profitable Practice During Uncertain Times; Troy, Michigan on November 11, 2009. "Are You Ready? Pandemic and Infection Control and Diagnostic Imaging Arrangements - Key Legal Issues" 2009 AHRA New York/New Jersey Regional Membership Meeting, October 21, 2009. Adrienne Dresevic, Esq., Carey Kalmowitz, Esq., and Clinton Mikel, Esq., were quoted in The Ambulatory M & A Advisor article, "Regulations for Healthcare in 2016 and Beyond" by Richard Romero on June 1, 2016. "What is Renumeration? Consider Ameritox, Ltd.v. Millennium Laboratories, Inc". by Adrienne Dresevic, Esq., Carey Kalmowitz, Esq.,Leslie Rojas, Esq., ABA Heatlh eSource, Vol.11 No.9. Carey Kalmowitz, Esq., was interviewed and quote in The Ambulatory M&A Advisor, titled "Risk Is No Game In The Urgent Care Market", March 11, 2015. Carey Kalmowitz, Esq. was interviewed and quoted in, "What's Trending in Medicine in 2014", MD News, January 2014 edition, page 12.